St.Patrick’s Day 2019 will be a day to remember for Billingham Rugby Club. 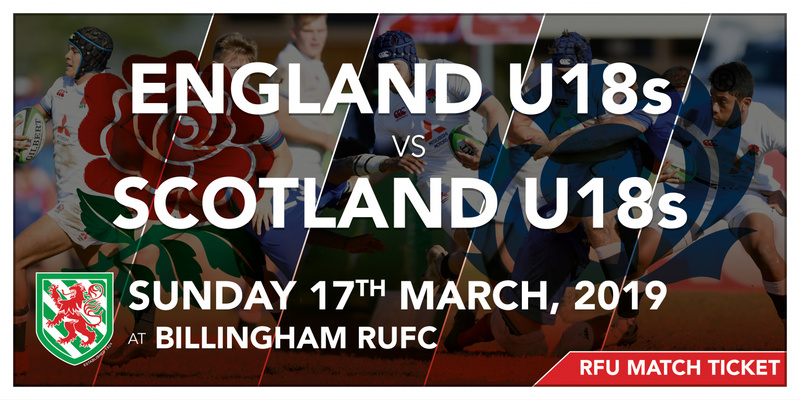 The day after the England senior men’s team take on Scotland at Twickenham, the future stars at U18 level will be heading north to Billingham to compete against Scotland U18s. Billingham Rugby Club are proud to have been selected to host England’s future stars at the home of Billingham RUFC on March 17th 2019.